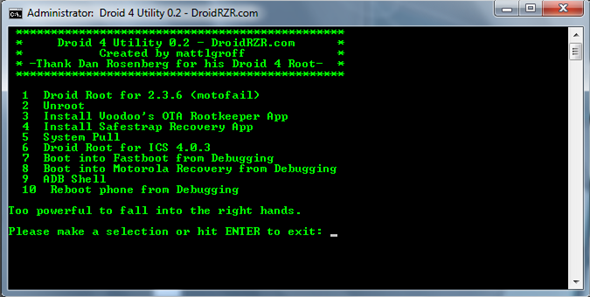 Droid 4 Utility For Windows: Root/Unroot Motorola DROID 4 On Android 2.3.6/4.0.3, Boot Into Recovery/Fastboot, Install Safestrap & More! Just a couple of days after the public release of the root for Motorola’s DROID 4 Android smartphone, a developer over on XDA-Developers has managed to put together and nice, handy tool for the device that provides a variety of system-level functions under one window. Check it out after the jump! News of the tool comes straight from XDA-Developers – a popular forum where Android enthusiasts, developers and hackers meet – in the form of a thread from the tool’s developer mattlgroff in which he discusses its functionality and how to go about using it. 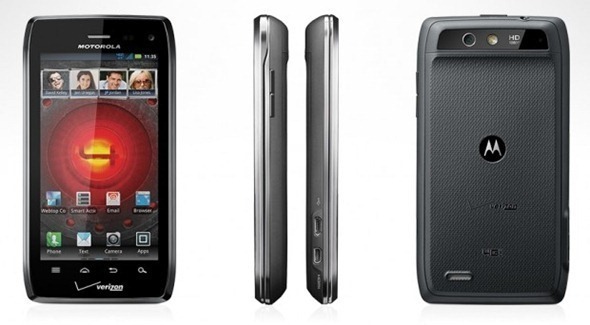 Although it was released barely a week ago, the Motorola Droid 4 already has root. No doubt owners of this shiny new device are eager to start tinkering with it. Luckily for them XDA member mattlgroff has already put together a utility to allow Droid 4 owners to do just that. The tool is called Droid 4 Utility. It gives the user a wide variety of options, including things like achieving root access on Android 2.3.6 Gingerbread (and even Android 4.0.3 Ice Cream Sandwich) based on Dan Rosenberg’s exploit, boot into recovery, pull /system, install Motorola RAZR’s bootstrap recovery and more! Tools like this are super-handy because of the fact that enthusiasts then don’t have to search in forums and social websites for simple tasks. To get the tool to work, you will need to download the latest drivers from Motorola, which you can grab by heading over to the source link. Before you start using it, we highly recommend taking solid backups of photos, texts or anything else that is valuable to you. Of course, those of you who just want to root their DROID 4 and don’t need other features can always follow our guide on how to root DROID 4. It is super-simple, straightforward and takes less than 2 minutes from start to finish. Once you’ve achieved root, you can install powerful apps like Titanium Backup, ProxyDroid etc. Droid 4 Utility is free and can be downloaded directly from the link embedded below.